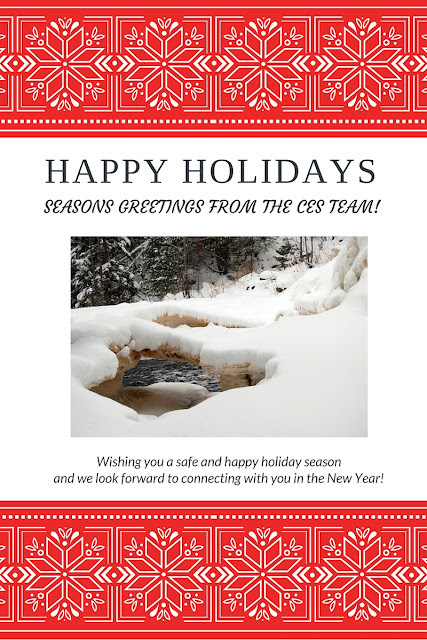 Having worked in the Indigenous Tourism Industry in Canada for over 19 years, Canadian Ecotourism Services (CES)’s CEO, Clinton Belcher created an innovative approach that combines new age technology with grassroots cultural entrepreneurs. This idea has more of less been an approach that CES has recommended to their clients for a long time, however the addition of new technologies has taken it to the next level. Retention of culture has become an issue for many indigenous communities throughout the world and there is a critical need for opportunities and innovative models to integrate culture into community life. The tourism industry presents a unique opportunity to preserve culture and educate visitors about the rich culture, history and traditions of the past, present and future. CES’s Pando Terra™ model represents the root for sustainable community development by way of community initiatives and projects’ encouraging community advancement, and allowing for true grassroots growth to take place. Pando Terra™ is an organic process of economic development in harmony with cultural traditions. Rather than focusing on tourism development as a catalyst for growth, tourism will develop naturally as a secondary outcome of a solid community platform. People will want to know more about the community and learn about the people and their culture. This has led to an increased demand for entrepreneurial programming support, leading to the need for controlled growth and well thought out marketing and development strategies. This becomes the kind of ‘experiential’ tourism being highlighted throughout Canada; the kind of tourism that has existed in many parts of the world for years, and is branded ‘Spontaneous Tourism’ by CES. 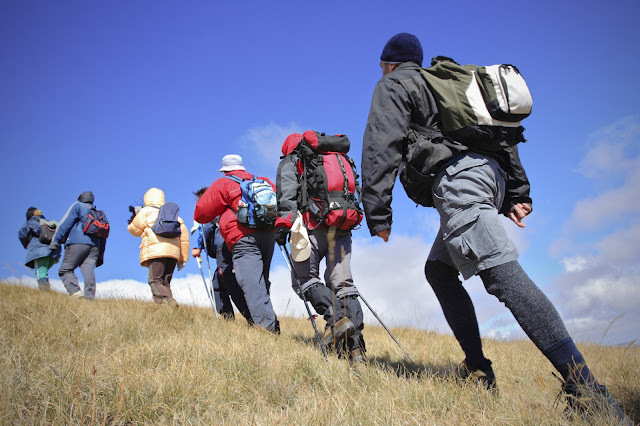 Tourists want to experience diverse cultures; to eat, live in, and explore a new place for a short time, and not necessarily participate in any specific ‘tourist’ activity. The importance of the need to support the community first before commercializing the culture needs to remain the priority. Pando Terra™ supports this model and promotes responsible sharing of culture and product offerings. Many Indigenous communities already have passionate individuals in their communities that enjoy sharing their culture and knowledge with visitors. These community members can be storytellers, guides, fishermen, artists, singers, dancers, wood carvers, artisans, cooks, and more! However, these particular individuals may not have their own business and are unaware of how to market themselves and reach out to potential visitors. So there is a large communication gap and missed business opportunities in each community. 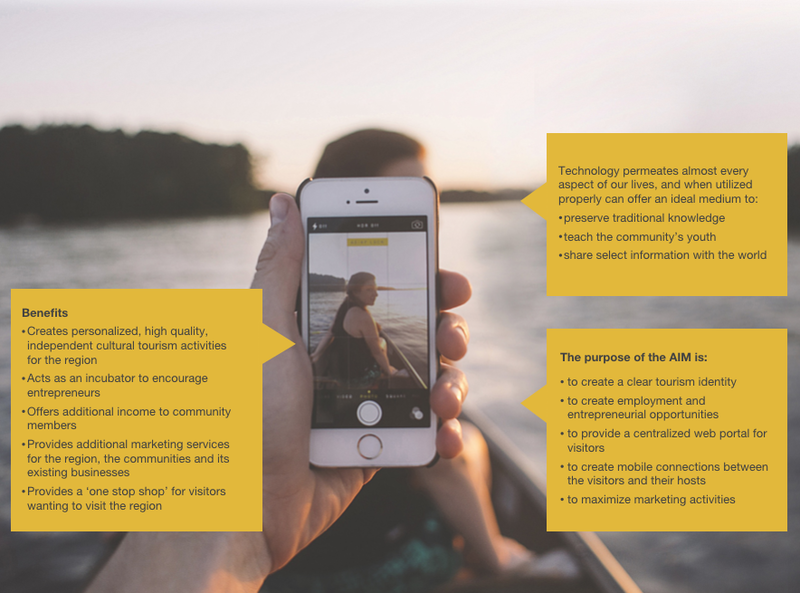 This led CES to creating a model that celebrates individual Cultural Entrepreneurs under one community platform, known as the Authentic Indigenous Moments (AIM™) Model. The main objective is to empower local community members to share their culture and do what they are passionate about, whether it is guided experiences on the land to learn traditional survival skills, how to make the best bannock, or sitting around a fire telling stories and legends of the past. The community has individuals that are looking for these types of opportunities, however many are overwhelmed with the process of starting their own business. This approach allows cultural entrepreneurs to share their knowledge, skills and passion with visitors. The use of an interactive web platform is vital to the success of this approach. 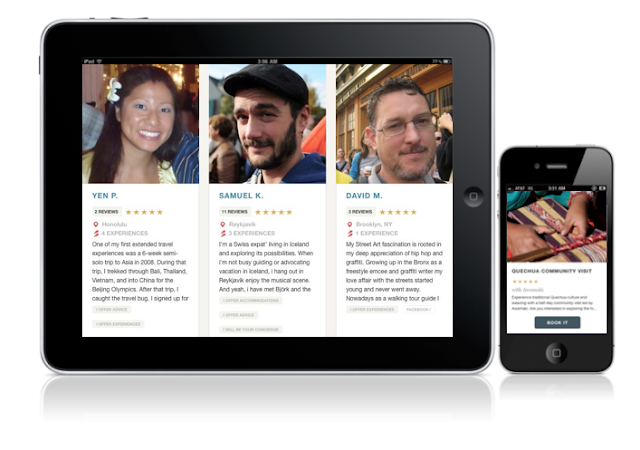 A community has the opportunity to promote their tourism experiences through a centralized node that is accessible on all devices such as desktop computers, mobile and tablet devices. A great feature for this approach is that visitors also can navigate the different tour options, write reviews, and book online with ease. Each Cultural Entrepreneur is featured on the site, so that the potential visitor can begin to develop a relationship with this individual and learn about them before even meeting them in person. It is a self-regulating system that is based on reviews, which places pressure on each entrepreneur to be a great host to visitors. All and all, this project offers amazing benefits to the community using a low impact and cost-effective approach. For more information on AIM™ and how to get started contact us at info@cesclients.com. I just spent the last 2 months travelling across Canada and had the opportunity to stay at a variety of different budget accommodations. As a well-seasoned traveller I’m looking to get the best bang for my buck, but also have a certain level of comfort and experience something unique that has a story to it. So I wanted to share some things that really stood out for me during my travels – this is written for those of you wanting to start your own tourism accommodation business in Canada and be able to have something both competitive and unique. A little goes a long way… I was travelling with my dog and partner so we were looking for a comfortable place to stay that was dog friendly. This became a challenge in some places and we had some bad experiences being forced to stay in smoking rooms because we were travelling with a pet – which led to an uncomfortable restless night’s sleep. One place that really stood out was in Squamish, BC – we booked a budget Hotel that was located in town in a historic building. We were usually used to getting a basic typical room with standard bed, generic comforter and sheets, and the cheesy photo of some sort of outdoor scenery that was probably purchased at IKEA. Basically it was evident that they purchased the cheapest products possible. However this particular place in Squamish had a different feel to it. Upon check-in we were greeted by friendly front desk staff that were helpful with tips on what to see in the area and they were attentive to what we were hoping to get out of our stay. They were also the first pet friendly place that provided us with a nice dog blanket and food dishes so even our dog had special treatment instead of being treated as a nuisance. The rooms were small but each room had a different colour scheme and feel to it – you could tell that love and care was put into the place. They also had some added extras like a DVD player with a variety of movies to borrow from, some wine glasses to use, organic beautifully smelling toiletries – that were also available for purchase at the front desk, and organic coffee and teas. For a budget hotel they really put a lot of thought and care into making their guests comfortable and it stood out as one of my favourite places. Cozy, Eco-friendly comforts… In BC there were a variety of destinations that really pushed for promoting local community and supporting locally grown produce and products. We stayed just outside of Nelson BC and had the opportunity to stay in an Eco-chic self sufficient cabin through a connection that we had with a close friend of ours. This particular cabin will now be available through Air BNB. The cabin was previously a chicken house that was redesigned into a cozy wooden cabin. It was built with local sustainable wood and can run somewhat ‘off the grid’ with the goal of being completely off the grid. There was a compost toilet, but it was a more sophisticated system that used minimal water and required minimal maintenance. So that said, the washroom was beautifully designed eco friendly system – you had all the comforts in a washroom like a spacious hot shower, and a flush toilet, but it was a sustainable design. The cabin was heated with a wood burning stove and had a gas powered modern kitchen. We were only going to stay there for one night but ended up staying for 3! Air BNB provides a great options for those wanting to rent out their home, a guest suite, a cabin, or a room at their place for extra income. It’s a self-regulating system that is based on guest reviews so it is up to the individual owner to provide visitors with great service and value. A bad review can make or break your business. Getting close with nature… One of the main draws that attract people to explore Canada is to get close and personal with nature. So by providing a peaceful place to stay that is surrounded by nature can attract many people. Another place that stands out is a self-contained suite that we booked on Salt Spring Island. It was an attached loft to the owner’s house located in the middle of the forest close to hiking trails. It had a skylight so in the evening you could see the stars! We had all the comforts we needed and the owner was very nice and helpful when we had any questions. Good quality ingredients… This is a little side bar that strays away from accommodations, but still relates. We stopped at a family run Café that was also a bed and breakfast (but we didn’t spend the night). The café was packed with people from the surrounding communities and what made it special was that they offered delicious home cooked meals for a decent price that were cooked with locally grown ingredients and made with love. There was a great story to the place as well so you felt that personal connection to it. It’s always easy to tell as a traveller when extra love and care are put into every detail at a place and we felt this place provided that. These basic types of accommodations and cafes are huge draws for Europeans, as well as long stay domestic tourists. Most Europeans are looking for a quieter stay, close to nature, that won’t break the bank book. When you set the tone with providing comfortable unique accommodations people are inclined to stay longer, provide you with a good review, and perhaps partake in additional activities and excursions in the area that help to grow your community’s local economy. For more info on how ideas for how to get started with designing tourist accommodations or a café in your community contact me at amanda@cesclients.com. CES has had the privilege of working with Kevin Eshkawkogan, the Chief Executive Officer of the Great Spirit Circle Trail Inc. and Great Spirit Circle Trail Touring Company and the CEO of the newly developed Aboriginal Tourism Ontario.. We have collaborated with Kevin on several projects ranging from developing the Aboriginal Tourism Ontario Strategy to working on an Aboriginal Marketing Strategy with Tourism Northern Ontario, as well as other community initiatives throughout Ontario. We first met Kevin back in 2009 on a CES Best Practices Tour to Manitoulin Island and have created a long standing relationship with him. Kevin recently was awarded Ontario’s Tourism Champion of the Year award so we thought we would share our experience working with Kevin and how he truly deserved that award. Kevin is responsible for operating, alongside his team, a cooperative tourism marketing initiative and touring company involving 8 First Nations and local Aboriginal business partners. This initiative has been successful in growing the tourism industry in the Manitoulin Island – Sagamok area of Northern Ontario. Kevin has been a key component in developing the European markets on behalf of the GSCT. Over the last 6 years, he has participated in several trade missions, trade shows, and dance performances in various international venues. Kevin has earned a diploma in Business-Accounting from Canadore College, is currently working towards completing the Certified General Accountants program and a degree in Political Science from York University. He is also a graduate from the University of Waterloo Economic Development Program and Confederation College Small Business Counseling Program. He has an extensive background in business development, business management and marketing. Kevin has been previously employed as a Business Development Officer at the Waubetek Business Development Corporation, an Aboriginal Financial Institution that provides business financing, delivery of the Aboriginal Business Canada program and other business advisory services to Aboriginal entrepreneurs and 27 First Nations throughout northeastern Ontario. In his 4 years of work with Waubetek, he has helped assist with the investment of over 3 million dollars in over 100 Aboriginal businesses to help them expand or become operational. He has been instrumental in assisting with several major community development projects. He has also gained business experience as over the years as Operations Manager for the family-owned Eshkawkogan Timber Company. Kevin also operates KSK Business Solutions which opened Spirit Island Adventures in 2012, with his partner Melissa. He has also been a key player in building the new Manitoulin Hotel & Conference Centre, a project owned by six First Nations. He is an avid hunter, fisherman, and a grass dancer on the powwow circuit who enjoys participating in traditional powwows throughout Manitoulin Island. He believes strongly that economic and business developments are the solution to the many issues that face Aboriginal people today. On a provincial level, Kevin has been instrumental in the development of an Aboriginal Tourism Ontario organization with the hopes of creating a provincial support system to grow Aboriginal tourism in Ontario. Kevin saw an opportunity with a growing demand in Aboriginal tourism and developing new product, there is a need to help other people develop businesses to grow the industry and he has offered to share his knowledge and expertise in order to move forward. CES was hired to work with Kevin and GSCT on this project. Through his work in 2014 with the Great Spirit Circle Trail, Aboriginal Tourism Ontario and his additional business endeavours, Kevin Eshkawkogan embodies the spirit of tourism in Ontario. At a local level, Kevin has a strong desire to improve the local socio-economic situation by employing local people and creating local business opportunities. He personally grew up with his parents having to relocate and move out of his community to find work, so experiencing this first hand has driven him to pursue creating more local business opportunities and sees Aboriginal tourism and its spin-offs being a driving force. In addition, Kevin has set a goal for myself to become an elected councillor in MChigeeng and to have MChigeeng become self-sustainable as a nation by the year 2020. At a regional level, he works with 8 First Nations communities and several Aboriginal partners on an ongoing basis to develop and grow Aboriginal tourism development through the Great Spirit Circle Trail. His accomplishments on a regional level include growing the regional economic impact for the region – from 2004 it grew from less than a million to over $10 million per year in 2014. This includes all of the spin off businesses that come along with tourism such as gas, groceries, etc. This is a huge accomplishment and they are seeing growth every year. Kevin is constantly studying and assessing what the needs are and knows there is a need for more of a variety of tourism products in the region. As a result is always looking into opportunities to develop new products on an ongoing basis such as the Manitoulin Hotel and Conference Centre which was launched in 2014. He has identified the need for more accommodation facilities and more inventory for tourism products and services such as transportation, hotels, and food & beverage services. As a result, group tours are growing in 2014. At a provincial level, Kevin, along with other visionaries and support, has pushed forward and created momentum for the Aboriginal Tourism Ontario (ATO) organization. He believes if you carry knowledge in a certain area it is your responsibility to share it and that encouraged him to take the lead on this initiative. The creation of a draft strategy for Aboriginal Tourism Ontario was developed in 2009, and it was evident that there was a need for more Aboriginal tourism product across the province and in order to do this a support system was needed. The official launch of the Aboriginal Tourism Ontario was on April 9, 2014 at the Manitoulin Hotel and Conference Centre in Little Current, topping off the three-day Great Spirit Circle Trail (GSCT) 9th Annual Business Tourism Conference. Kevin continues to strive to grow the tourism industry and improve socio-economic conditions for the province. Kevin hopes that a provincial support system will improve the economic impacts and sustainability in Ontario’s First Nations communities. ATO can fill certain roles that can help fill gaps for support like international marketing, and other services like helping businesses become market ready and removing certain stereotypes. This provides an opportunity for communities and businesses to start to share their own stories by owning, operating and running tourism businesses. Kevin’s leadership with ATO has led to creating new partnerships and connections with First Nations communities which will result in opening up some new doors and helping others see the potential and merit involved with Aboriginal tourism moving forward. Kevin’s hard work and dedication to the industry demonstrate that you have the ability to create a positive socio-economic impact in your community and region. Our team at CES feels honoured to have worked with Kevin and look forward to future collaborations with him. For more info on the work that Kevin has done or projects that CES has been involved with contact us at info@cesclients.com or visit us at www.cesclients.com. Want to get in the business of tourism? Do you have a Destination Development Strategy for your community/region? Why would you need a Destination Development Strategy? Canadian Ecotourism Service’s expertise lies in cultural, recreational, and Aboriginal tourism development. We have established an ability to work closely with urban and rural communities across Canada and abroad to create unique experiences that help to preserve local cultures and the environment while providing economic benefits and employment opportunities. For more information on Destination Development Strategies and what they could mean in your community contact info@cesclients.com.